I joined a swap on flickr called Modern She Made. There are something like 100 participants, and no one knows who is making a gift for them. You aren’t allowed to tell the person that you’re making a gift for that you have them. My person stated that she loved bright colors, especially on a white background. The stipulation of this round of the swap is that your creation has to have a circular element to it. It took me a while to think of what I could do that would be cute while at the same time incorporating a circle of some sort. 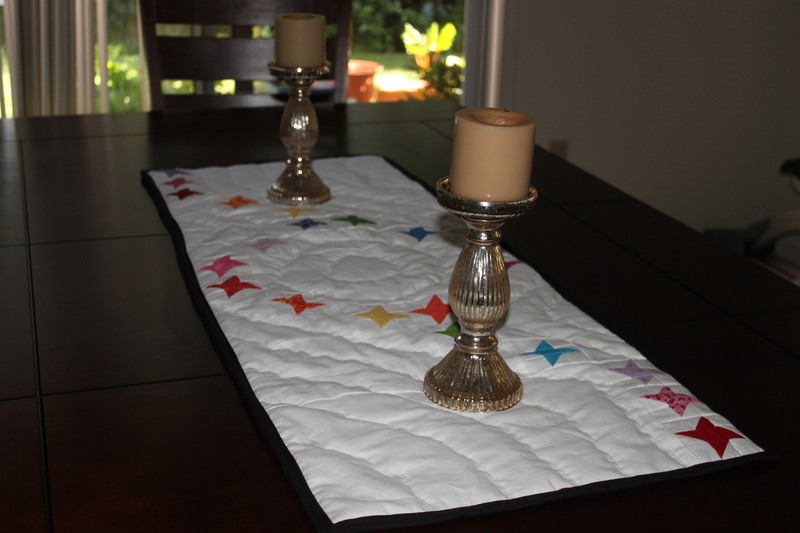 I’m pretty happy with the way this table runner has turned out. I may make myself another one of these days! haha. Here is what the back looks like. 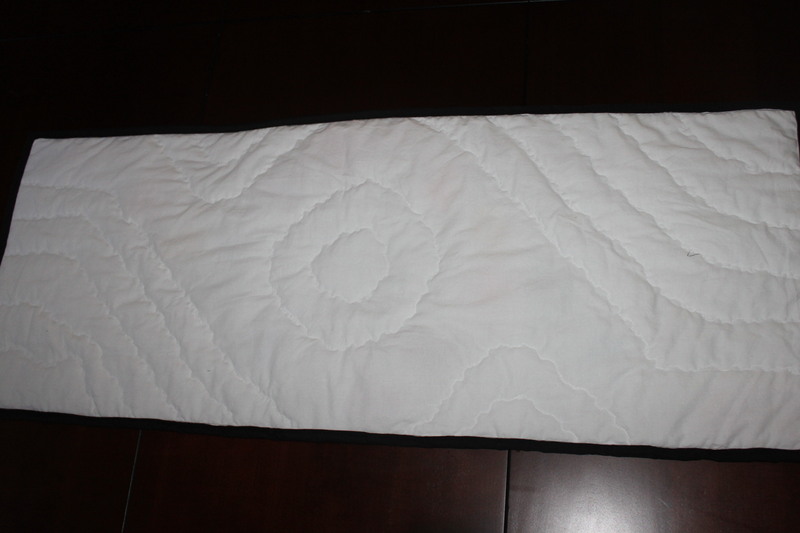 I had my machine quilting a loose wavy line along the outline of the design. Then I outlined the outline, loosely, a couple times. I think it looks very fun & festive for springtime & summer. In May there are 2 people assigned, so I got to make 2 blocks! 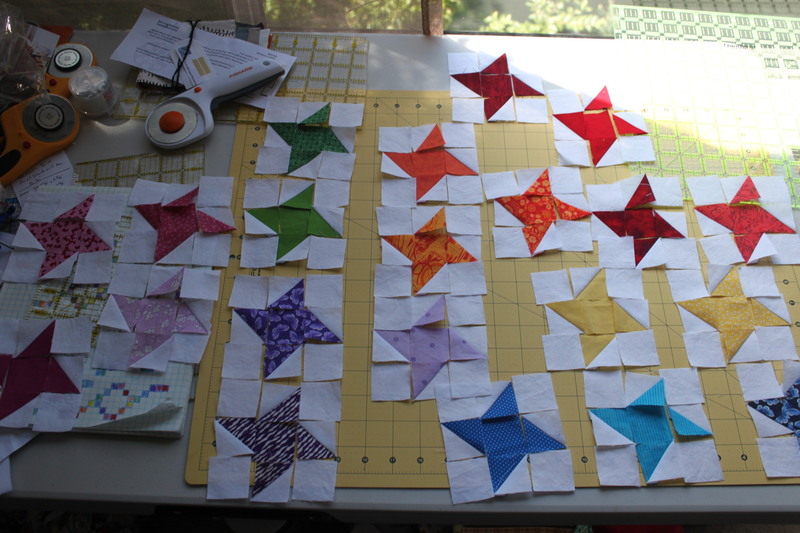 Still feeling a little paranoid from my failed attempts in April, I jumped into making my blocks this past weekend for May so that if something didn’t work out I would have plenty of time to fix it! 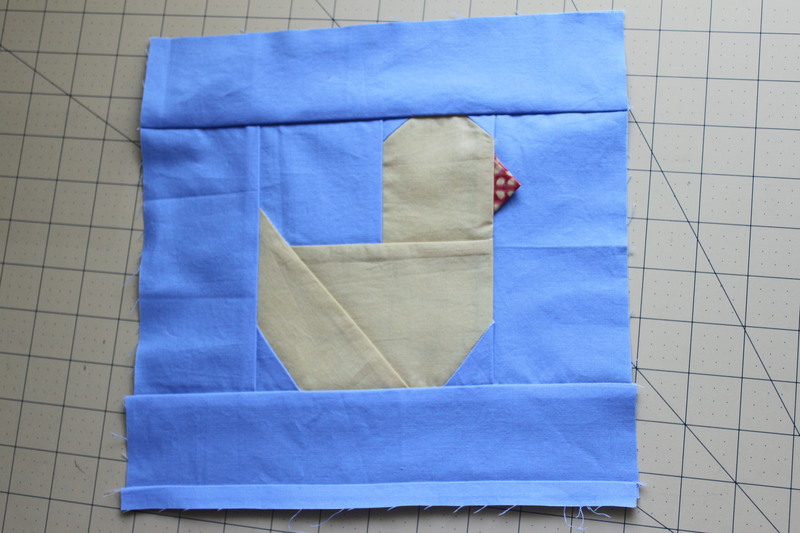 Luckily, I think I won’t need to do any fixing for my May blocks. Phew! 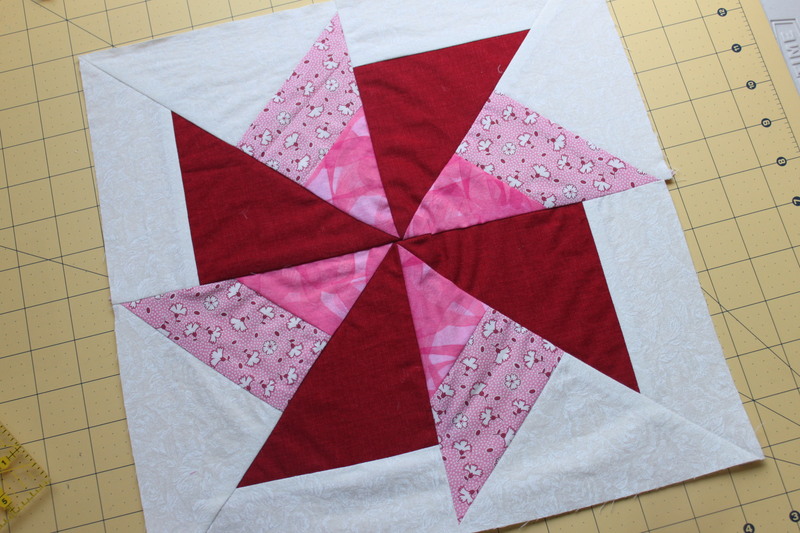 The first one I made was a pinwheel block for Leanne. She asked for red, white, and/or pink pinwheels. Leanne lives in New South Wales, Australia so it will be very thrilling to send an international block this month. 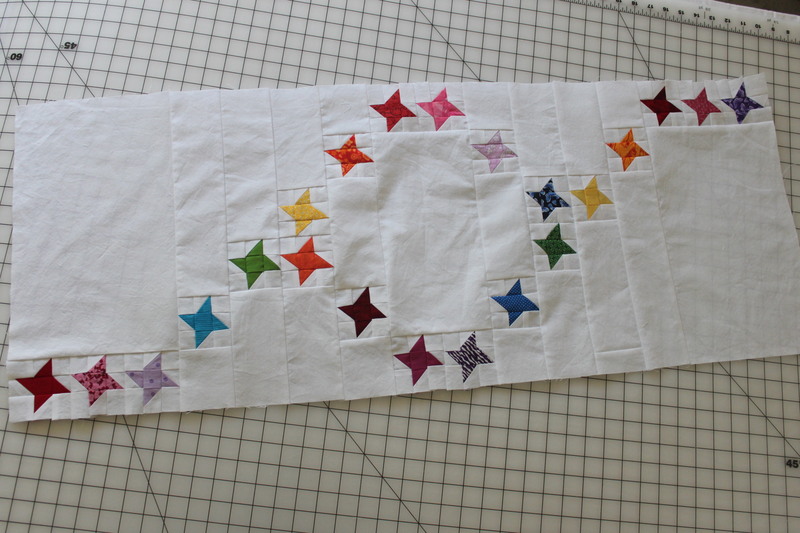 The second block I made was for Lisa, who wanted “anything baby.” I found this pattern surfing google images. I think it is so cute! Still haven’t decided what to do about the eye…I’m considering just leaving it blank instead of sewing on a button or embroidering a black circle. This month gave me trouble. I think its the first month since starting the LDQB last year that I have legitimately struggled with coming up with something fun or cute or just desirable. 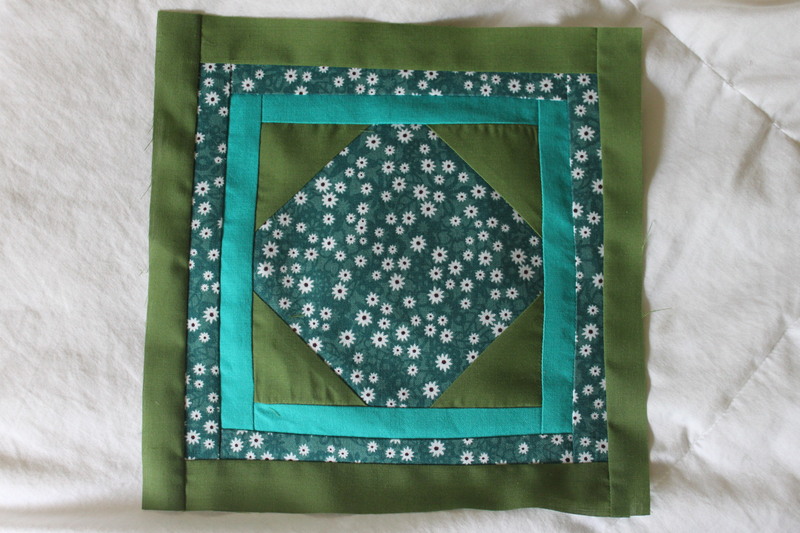 Terri asked for 8.5″ blocks using blue, green, and aqua. I didn’t even take a photo of my first attempt. I tried to paper piece a star & I accidentally stretched the fabric so when it came together it wasn’t even. Yikes. Rather than try to redo it, I just did a separate block that had more of a traditional ‘squares and triangles’ feel to it. It turned out great except that it was 9″, not 8.5″!! 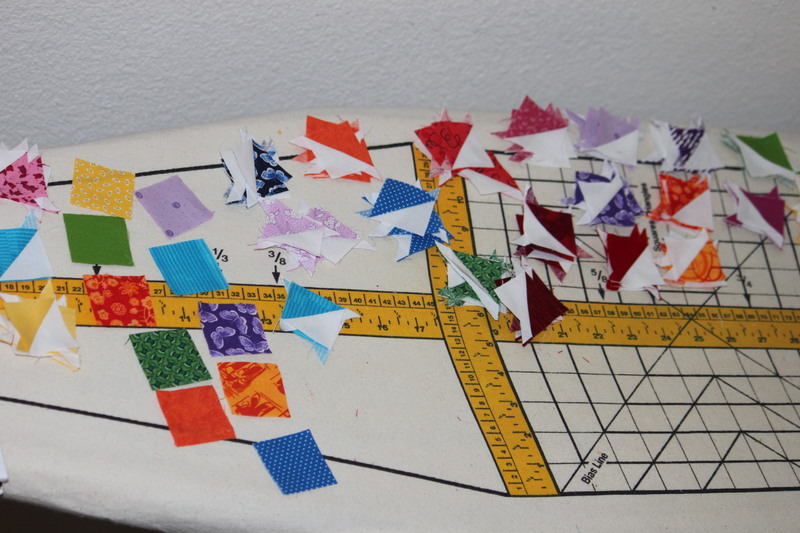 By this time it was the end of the month (April was a really busy month for me with not much quilting time available) & I was feeling stressed because I had struck out twice. So I ended up doing a modified diamond with log cabin surrounding it. In retrospect I wish I had nestled triangles on the corners of the block itself to give it a churn dash feel & mimic the center diamond, but that didn’t occur to me until after I had sent it. Next time!